It has been a decade since I have really stepped foot into a ‘studio’ atmosphere, and while I was stepping right out of my normal, it was worth every second. 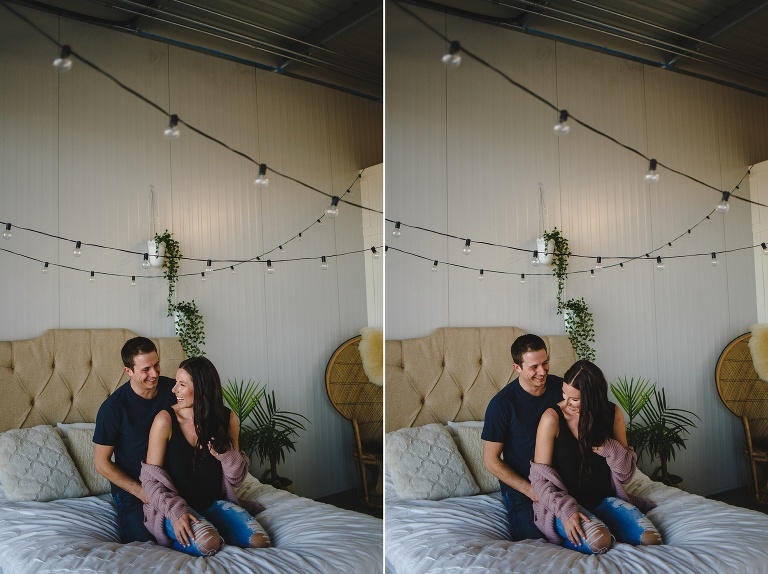 The Studio is a beautiful space, and it was even more beautiful that I got to have a past bride and groom of mine back in front of the camera. Five years ago I photographed their wedding and it was a treat back then, but it was truly breathtaking to watch them interact with an even deeper, mature relationship after all of these years. Plus they are just freakin sweet and funny and people you want in your life. So enough of me gushing about them … you can tell by the photos about what I’m trying to explain.